OptioPay changes the way people receive and spend money. Based on an innovative white-label platform that can be easily integrated in every existing payout system, OptioPay aims to process all payments from companies to their customers and employees. By offering various payout options, such as higher-value gift cards of well-known advertisers, OptioPay increases the value and flexibility of these payouts. Recipients can, for instance, increase a payout of 200 € by 60 €, simply by converting 170 € in a 230 € voucher and transferring the remaining 30 € to their bank account. When the entire 200 € are converted into one or even multiple vouchers, the added value is even bigger. Voucher options span across many categories including fashion, technology, travel packages and even products of daily use. Renowned companies such as Amazon or adidas have already successfully partnered with OptioPay. Overall, OptioPay creates a ‘win, win, win’ situation for all parties involved in the payout process: (1) Payment recipients increase the value of their payout by converting a proportion of their choice into gift cards; (2) Issuing companies benefit from higher customer satisfaction and even earn money through a revenue share system; and (3) advertisers acquire and retain customers 100% performance-based by offering their own gift cards as a payout option. 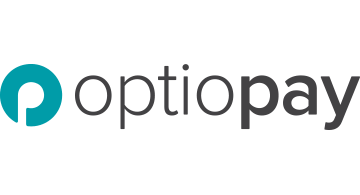 OptioPay is backed by a number of investors, including renowned banks and international venture capital firms. Founded in early 2015 by Marcus Börner (founder of reBuy) and Oliver Oster (lawyer; founder of Feedback Fabrik) the company now comprises of 49 employees from over 20 countries.